Cathleen Graziadio worked as a Payroll Administrator at the Culinary Institute of America. On June 6, 2012, Graziadio’s seventeen-year-old son was hospitalized as a result of Type I diabetes and Graziadio promptly informed her supervisor that she would need to leave work to take care of him. 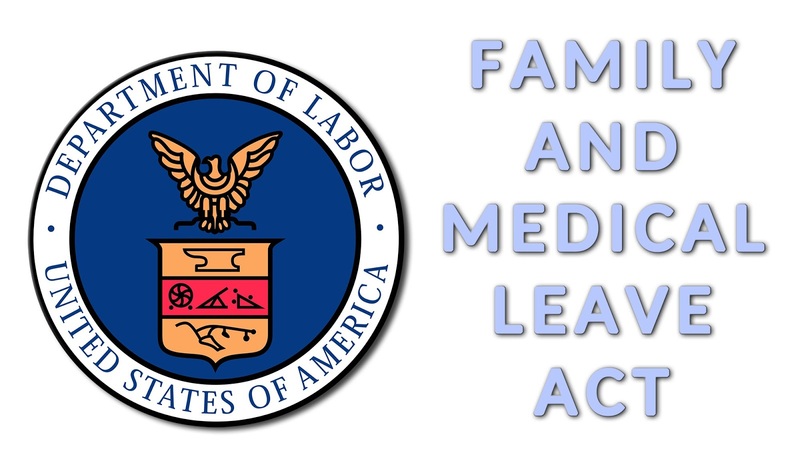 Seeking to have her absence designated as leave under the Family and Medical Leave Act (“FMLA”) she submitted a medical certification supporting her need for leave to care for her son. In reply the HR Director sent Graziadio a letter stating that her FMLA paperwork did not justify her absences from the workplace and that Graziadio must “provide updated paperwork to this office which addresses this deficiency.” However the HR Director did not make it clear on what paperwork she would to see and rejected the note from one of the son’s doctors as failing to establish a “medical necessity for you to provide full time medical care.” Finally, the HR Director announced that she would “no longer be able to discuss this matter over email,” and asked Graziadio to “[p]lease provide . . . three dates/times for this week that you are available to come into work and meet with me” in person. The Company fired Graziadio on September 11, 2012, for abandoning her position. The letter explained that Graziadio had been asked “through your attorneys . . . to return to work and to contact your supervisor to arrange a return to work date. . . . Based on the fact that you have not contacted your supervisor to arrange to return to work as of the date of this letter, it is obvious to us that you do not want to return to work.” Her termination was effective as of the date of the letter. 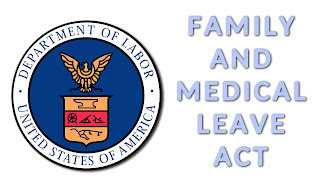 Graziadio subsequently filed suit in New York Federal Court bringing claims against both the Company and the HR Director individually for interference with FMLA leave and FMLA retaliation. The Second Circuit ruled Thursday that the Culinary Institute of America’s HR Director could be held individually liable for Family and Medical Leave Act violations, saying she had enough control over an employee's job and enough input into her firing to qualify her as an “employer” under the statute. Common Sense Counsel: having a properly drafted FMLA policy, mandated forms and supervisory training is the bare minimum. Keeping a cool head when those around you do not is leadership and legal risk reduction. Tommy Eden is a partner working out of the Constangy, Brooks, Smith & Prophete, LLP offices in Opelika, AL and West Point, GA and a member of the ABA Section of Labor and Employment Law and serves on the Board of Directors for the East Alabama SHRM Chapter. 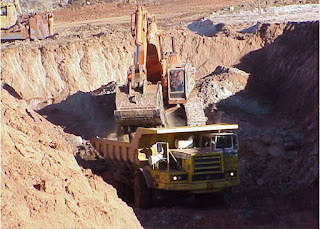 He can be contacted at teden@constangy.com or 334-246-2901 with blog at www.alabamaatwork.com with full text of case. Tina Varlesi was a graduate student in the School of Social Work at Wayne State University (WSU). After receiving a failing grade and being denied a degree from the social work program, she brought suit in federal court, against WSU, her faculty advisor, the WSU Director of Field Education, and the Dean of the WSU School of Social Work, claiming pregnancy discrimination in violation of Title IX and Michigan’s Civil Rights Act, and retaliation for her complaining about that discrimination. A jury found the defendants liable, and awarded Varlesi $848,690 in damages which was appealed to the federal 6th Circuit Court of Appeals. In the Spring of 2008, Varlesi was placed at the Salvation Army Adult Rehabilitation Center (an all-male rehabilitation center for ex-convicts, drug addicts, etc.) by her WSU faculty advisor. At the Salvation Army placement her obvious pregnancy became a hot topic of conversation where her new field instructor 1) ordered her not to drive after dark or in bad weather, 2) questioning her marital status and living arrangements, 3) announcing that though she had “had relations” with someone, and 4) the men at the rehab “can look but they cannot touch.” Other students were present for this uncomfortable conversation. Within days, her new field instructor was complaining about Varlesi’s alleged underperformance, poor attendance, and bad attitude. Two week later in a student meeting Varlesi directly accused the Salvation Army field instructor of pregnancy discrimination, which he denied any discrimination but said she had told Varlesi repeatedly to stop “rubbing her belly” and to wear looser clothing, and said that the men at the facility were being “turned on by her pregnancy.” Neither her facility advisor nor field instructor considered any of that discriminatory. They considered it reasonable under the circumstances and told Varlesi to wear looser clothes. On April 15, 2008, the Salvation Army field instructor gave Varlesi a failing evaluation, which WSU admitted was the worst evaluation any WSU social worker student had ever received. This resulted in Varlesi receiving a failing grade, thus preventing her obtaining the degree from the social work program. She then made a series of oral and written point-by-point complaints of discrimination to WSU that went unheeded and uninvestigated, according to the Opinion. Last week, the Court of Appeals affirmed the $848,690 verdict. Common Sense Counsel: The conduct described in this case was deplorable and started as a series of crude and inopportune comments. These are “hair on fire” managers because everyone around them sees how outrageous their conduct is, but no one speaks up. How to prevent the fire from burning up your business or university: 1) adopt a legally compliant non-discrimination policy and train every employee – even faculty advisors and field instructors; 2) speak up in your workplace or school setting when you witness discrimination; 3) remember that it is your duty to protect from third party harassment; and 4) seek wise counsel and know when to settle rather than face the costly pen of a Federal Court of Appeals. Tommy Eden is a partner working out of the Constangy, Brooks, Smith & Prophete, LLP offices in Opelika, AL and West Point, GA and a member of the ABA Section of Labor and Employment Law and serves on the Board of Directors for the East Alabama SHRM Chapter. He can be contacted at teden@constangy.com or 334-246-2901. Kevin Lee Angel worked for Lisbon Valley Mining Co. LLC, a copper mine in San Juan County, Utah, as a haul truck driver, a safety-sensitive position. While interviewing for the job, Angel was told about Lisbon Valley's prescription drug policy and was given a document setting forth the terms of the policy, which he read and signed. The prescription drug policy provided that employees taking prescription drugs that may impair their ability to safely perform their job must inform human resources of the use of such medication, provide human resources with a copy of the prescription for any such medication, and obtain a release from Lisbon Valley's occupational physician authorizing the employee to work and specifying any work restrictions that must be followed, before the employee may return to work. The policy further stated that an employee's failure to disclose that the employee is taking prescription medication could result in immediate termination, according to the finding in a recent federal court lawsuit. On January 12, 2012, while undergoing a random drug test, Angel tested positive for oxycodone, and was placed on administrative leave. Lisbon Valley learned from Angel that he had obtained a prescription for oxycodone in December 2011, and that he had been taking the medication, while continuing to work, without notifying human resources, presenting a copy of the prescription to human resources, or obtaining a work release from the company's occupational physician, all in violation of the prescription drug policy. At no time while he was employed by Lisbon Valley did Angel ever tell Lisbon Valley that he had a disability, nor did he ever ask Lisbon Valley for an accommodation for a disability or inform Lisbon Valley that he needed an accommodation for a disability. On January 19, 2012, Lisbon Valley notified Angel that he had been terminated because of his violation of the company's pre-duty prescription medication disclosure policy. Lisbon Valley had terminated the employment of every other safety-sensitive employee who it had learned violated the company's prescription drug policy. Angel also argued that the company failed to accommodate him by excusing the positive drug test result. 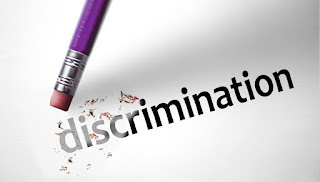 The Court observed that reasonable accommodation is always prospective, not retroactive. Common Sense Counsel: Abuse of prescription medications by safety sensitive employees is a nationwide epidemic with impairing effects just as dangerous as illegal drugs. Having the correct drug testing policy sign-off language is a critical first step to having a successful outcome.